Wednesday night, November 14, was the beginning of Operation Pillar of Defense. Today is Thursday, November 22nd, the first day after the Ceasefire pronounced yesterday evening at 9:00 PM our time. A week of being directed to our Safe Rooms if we had them, or within 15 seconds distance of any possible Safe Room. A week of being alerted to every little nuance of daily life. No work. No school. Yes work. Yes kibbutz breakfast. No kibbutz dinner. Store hours. Store closed suddenly. And so it went. A facebook group kept English Speakers in constant touch. We fed one another’s anxieties and applauded our acts of heroism. Going out for a regular walk was cheered, or admonished (mostly admonished with incredulity). Walking dogs within proximity of a shelter became a deed of courage that needed a motivational talk beforehand and a debriefing afterwards. Many residents left the area and still haven’t returned. Eventually, things will come back to normal. Normal awareness that we carry with us at all times will sit in our back pockets instead of fully planted in our frontal lobe. Soon. 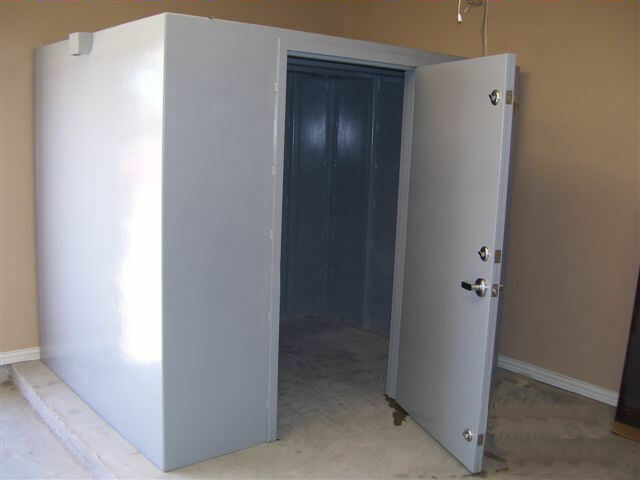 My safe room will go back to being a safe haven of choice rather than necessity. 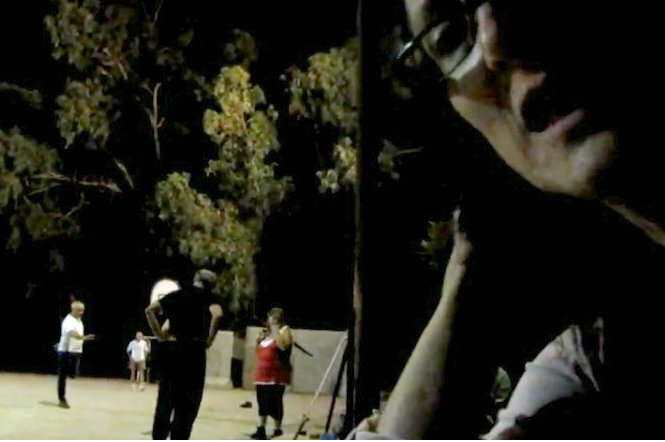 T’ai Chi in Nir-Oz: Talking to Zohar G! J: You come to T’ai Chi in Nir-Oz. How did you discover T’ai Chi? Zohar: Through Mickey from my kibbutz. The truth is I thought about it a lot for a long time, but just procrastinated until I finally asked him about it. He told me that it would be great if I’d come. The truth is that I was searching for some form of exercise to help me, because my back is not in great condition and many exercises do more harm than good. With Ta’i Chi I felt that this was what I needed, from the point of view of my health. Judih: Nice. When was it that you decided to come? 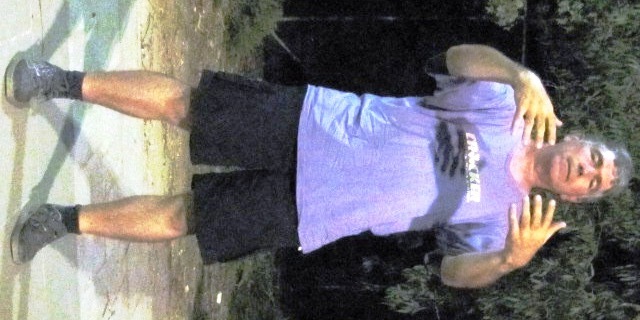 Zohar: About 2 years ago, in January, 2011. Judih: From the moment you began, what grabbed you, what attracted you to T’ai Chi? Zohar: These are exercises that I can do. They’re not complicated. And I hope to be able to keep on way past my 80s. Judih: That shouldn’t be a problem! Zohar: In things like Feldenkrais and other forms of movement, I felt that I couldn’t do the exercises or that they were doing me harm. Here, I really liked the warm-up exercises and the Chi Cong. I like T’ai Chi a little less. But I stay mostly for the first part of the session. I don’t relate to the martial arts aspect, I don’t really understand how the movements relate to warfare against an opponent. Since I danced for many years, I relate to the movements themselves. Judih: Tell me, have you looked into the philosophy of T’ai Chi? Zohar: No, not really. At the beginning, I searched on the Net to get some background, but not more than that. In fact, until two months ago, I only practiced during our weekly Tuesday evening lessons. But for the last two months, I’ve been doing the exercises every morning: the warm-up and some Chi Cong. Judih: Excellent. Do you feel that this has helped you health-wise? Zohar: Absolutely. First of all, I couldn’t stand! I have a slipped disc and I really couldn’t stand on my feet for any length of time. Now with our static Chi Cong (standing in one place), I can actually stand, for a long time! Secondly, I feel that it helps me in work. It helps my mind, I’m more able to concentrate. Judih: Has this changed since you began to practice every morning? Zohar: No, this happened from the very beginning. It works on focus. I’ve worked on this from many different directions and I believe that this is what is really helping me. I need to make myself keep at it, because I know myself and it’s hard for me to stay with something. Judih: You’ve said so many positive things about T’ai Chi. Can you elaborate? When you sit and work, how do you find that it has helped you? Zohar: I’m an accountant and the branch coordinator. Along with that, I coordinate Information networks. That means that I have to know a lot and remember many fine details. I simply feel that I’m better able to do my work. I can feel it. Judih: Do you feel more able to concentrate? Judih: Would you recommend T’ai Chi to everyone? Zohar: Yes, and to all ages. Judih: Great. Do you have any other comments you’d like to add? Zohar: Yes. 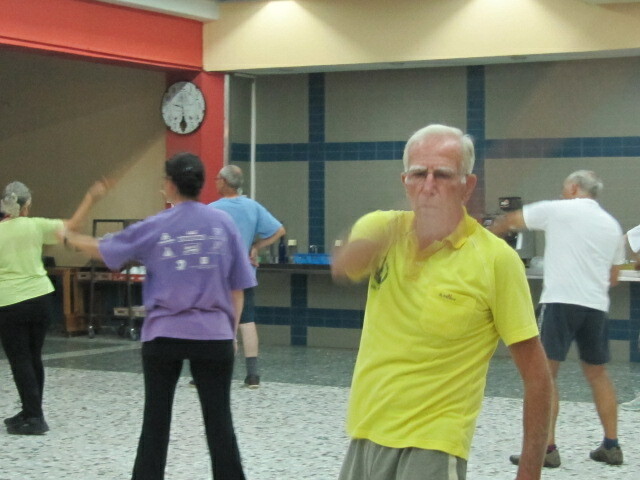 I also enjoy the people who come here to do T’ai Chi. The atmosphere is warm and free from judgement. You can make mistakes and it’s fine. I got here after others had already been doing it for 10 years and it’s fine! People are very pleasant. Judih: Thank you, Zohar. When you’re 80 and I’m 100, we’ll meet and discuss this further! Zohar: One more thing. I know it’s highly recommended for improving balance and I’m encouraging my mother (who’s in her 80s) to do the exercises of Chi Cong. Judih: Yes, others have spoken about how their own sense of balance improves immediately after doing the exercises and in general. You make a good point. Thank you, Zohar! Ezra Tzahor, photographer, teacher at Nofei Habsor, kibbutznik who lives in Kibbutz Revivim, recently had a show at the White House, Nir-Oz. 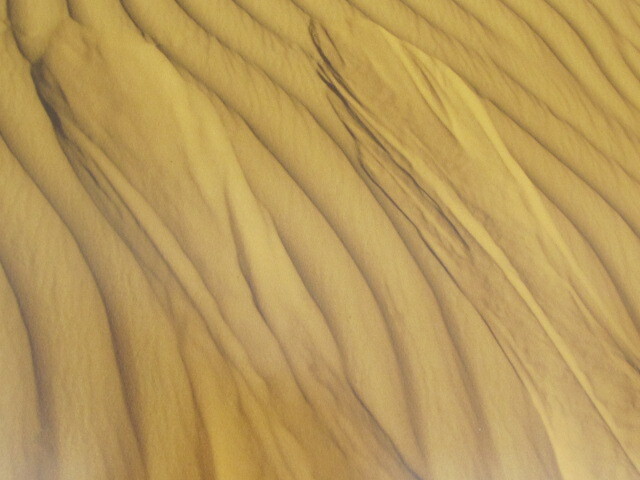 I spoke to Ezra about his work focusing on the Bedouin population and the desert environment that he loves. Judih: Ezra, can you tell me something about the current Exhibit? Ezra: I’m constantly biking around the area with my camera. In the Revivim area, there’s a large Bedouin population. And I endeavour to photograph what’s going on, within our population and around us. The Bedouin have a very difficult life, without legal status or rights and they are angry to the degree of hatred. Judih: Do you feel that you are being heard? Do people have questions? Are they taking an interest? Ezra: People are listening. They get angry, but they listen. There are those who believe that I’m exaggerating on either sides. Yet I know that eventually what I’m saying will penetrate people’s consciousness. Judih: Have any newspapers taken up your cause? Is there anything written? Ezra: Very little. I say this: Over Tel Aviv, there’s an Iron Dome, impossible to penetrate. You want to get through, but it’s impossible. Judih: You can’t break that bubble. Judih: Do you know if something has been written in the English press? Perhaps some response from out of the country? Ezra: I don’t think so, but I’d like to find a way to spread the word to English-speakers. Judih: Well, this blog might find a small audience, maybe 20 people or so! Ezra: It doesn’t matter how many, even 20 people is good! Judih: Is there something in particular you’d like readers outside of this immediate area to know? Ezra: As I wrote in my artist’s statement for this show, people find it very difficult to relate to the camera; as if the camera is an enemy. This is true for Jews as well as Bedouin. Apparently, they’ve got something to hide, and that is what I’m searching for, what lies underneath. Both sides are the same, and essentially need to stop being foolish. This week, for example, on our Kibbutz fence,there was a war between the Bedouin and the local councils. Highly unnerving. There I am biking around, and it’s not always with a good feeling. Judih: or a feeling of safety. Ezra: or safety. And after this week, I feel even more uncertain. Ezra: Government officials came to issue demolition warrants on illegal housing and there was huge opposition. 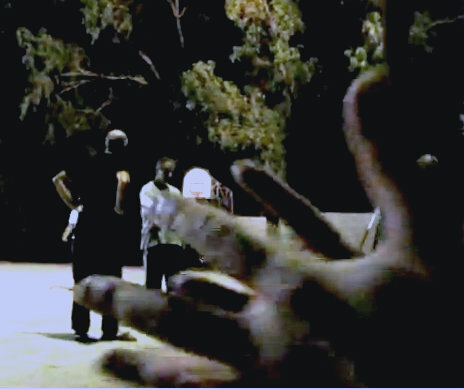 The Bedouin threw stones and there was gunfire, right on our Kibbutz fence. It’s terrible. Revivim exists with that volatile fence and tunnels and trenches. It’s terrible. Still I am trying to build relationships, but I’m only one man, a small force and it’s extremely difficult to encourage change. Judih: Do you have any suggestions as to how to recruit support? Ezra: My dream is to establish a home, like Haim Perry has done with the White House on Nir-Oz, between Revivim and Bir-Hadaj, their area. There I want to offer art activities for groups of Jews and Bedouin. That’s my dream. With such activity, it’s possible to develop cooperation. Judih: That sounds wonderful! Is it possible, is there some viable way to develop this project? Ezra: Haim suggested something and I’ll start to work in that direction; perhaps the Peres Center for Peace. And I need to find someone who can locate the resources for developing this idea. Judih: Excellent. Good luck and thank you. Ezra has an online gallery here. J: Einav, could you please introduce yourself? 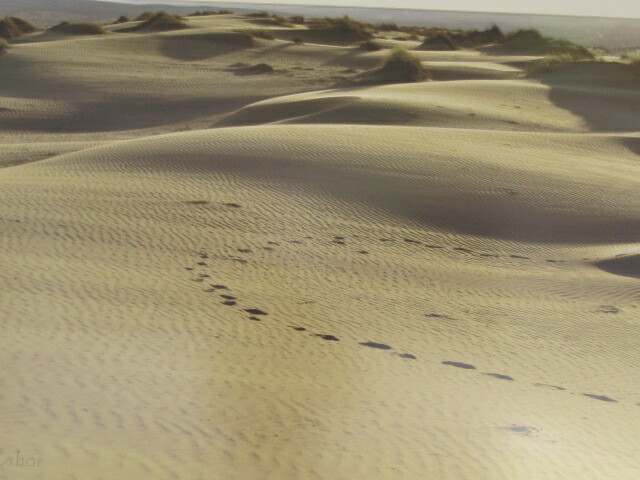 and, also, I work as a practitioner of NLP and Guided Imagery. J: How did you first encounter NLP? J: Yes, I agree! Who was your teacher? E: I studied under Yael Reiss. She deals with therapeutic NLP rather than commercial NLP for business. Later on, I completed further training for business, but I tend to deal more in the realm of therapy. J: Which techniques do you like? Are there those that you find yourself returning to, that you find especially effective? E: No, it really depends on each individual. It’s very personal. Not everyone can relate to guided imagery, and, at the beginning, first steps are needed to expose them to what it is and how it works. The moment the mind is prepared and the client learns how to use it, it is a very powerful tool, a unique technique that gives relatively fast results. J: Do you work with people of all ages? E: Yes. I choose the techniques that especially suit the person, together with their full cooperation, of course. E: I work with fear, sometimes. Whether it be generalized fear held by people, or fear towards a specific situation that might have resulted in a trauma. They come to me wishing to address that situation and repair it. In such a case, we’d work with the technique called Time Line, if you’ve heard of it. E: Or other examples: there are those who’d like to improve their quality of life, to get to a state of quiet, of inner relaxation. They want to learn to focus on the important things, rather than the superfluous. There are so many instances, really. NLP can be used to address many situations, and we look for a specific starting point. We work on one particular subject, usually, rather than several at one time. And usually, through that one subject, we get to other sorts of things. Throughout this process, we periodically check to see that everything is okay, that we are fully addressing the required issues, before proceeding. It’s highly personal, and so the treatment must perfectly suit the person and their needs at that moment in order to allow them to fully connect to the technique. Even if there might be a technique more suitable to a certain situation, if the person doesn’t relate to it, it won’t be of service. J: Einav, are you pleased that you studied NLP? E: Yes, on a personal level, it’s given me a lot, as well as the possibility to help others. J: Do you use techniques on yourself? J: Could you offer an example of one such technique? E: Yes, I did a Time Line on myself. I had a dream one night that was connected to my mother, and within the process of using the timeline technique, I was able to repair a situation, and it was truly amazing. E: Yes, it was very powerful. NLP also helps me a lot with the other types of work that I do,whether it be in my choice of speech, in my way of relating to others or in my way of thinking. It has really helped me in my work with others. J: Great to hear. Where are you located? J: And your phone number there ? J: Great, thank you very much. 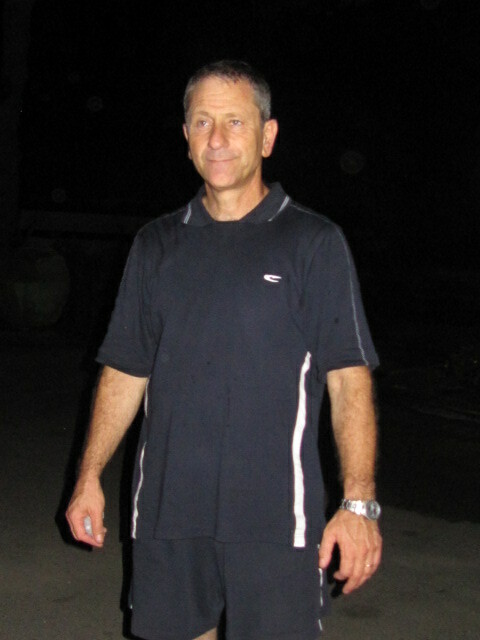 Judih: I’m speaking with Amiram who is a participant in the T’ai Chi sessions conducted by teacher Doron Lavie. Please introduce yourself. Amiram: Shalom. 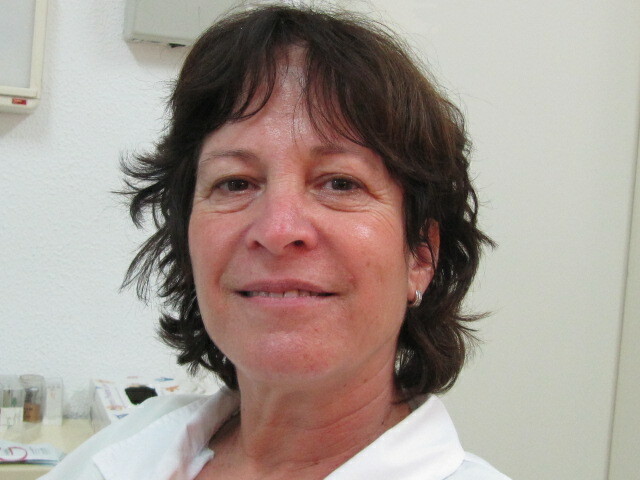 I’m Amiram from Kibbutz Nir-Itzhak. 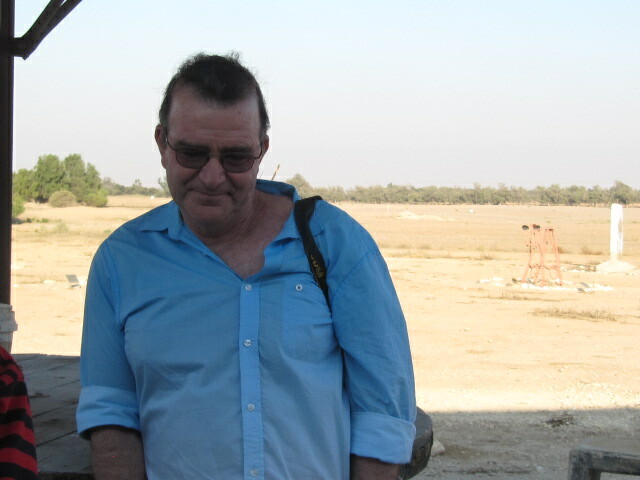 At the moment I work as the Kibbutz driver. J: When did you discover T’ai Chi? A: Actually I began by participating in a course in Martial Arts offered by the Eshkol Community Council, led by Moshe Galisko, about 15 years ago. There were about 7 of us from my Kibbutz who came regularly, but after about a year, the course was no longer given. So, we brought Galisko to the kibbutz and continued to practice for a few more years until that broke up as well. 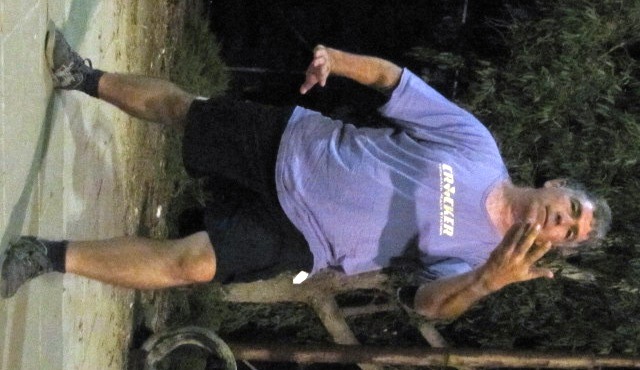 One of us, Eran Florentyne, went to Kibbutz Nir-Oz, to try T’ai Chi with Doron Lavie. After one time, he knew that he had to bring us all with him! J: And what is it about T’ai Chi that grabbed you? A: I liked the pleasant music and the soft, relaxed movements. In Karate, we were always working hard and my joints were aching. With T’ai Chi this never happened! 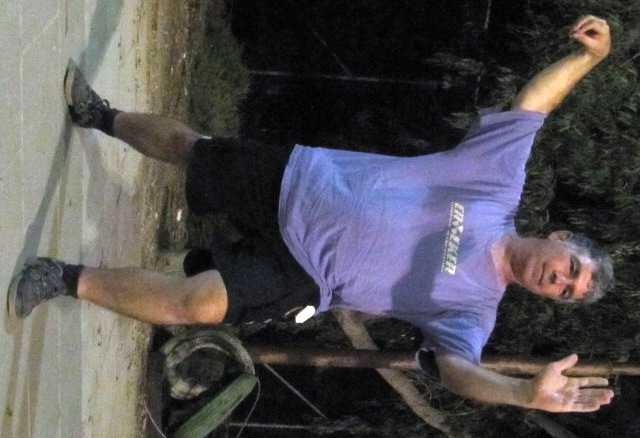 The opposite – by the end of the lesson, I was filled with energy, strength. Never tired. It offered a combination of sport, meditation and health! A: It was about 14 years ago. J: What does T’ai Chi do for you? A: First, I begin the morning by practicing Chi Cong and T’ai Chi. I wake up an hour before the children and practise outside in the summer months, or indoors in the winter, and the day begins with relaxation. This has really improved my health. While driving I practice my breathing. This brings me the inner quiet and the patience I need to deal with all kinds of people. It becomes integrated into my life – enabling me to serve others with courtesy. J: Could you recommend T’ai Chi to everyone? A: Yes, it suits every age at every level. Perhaps less with little children. I work with them during school vacations but they really need something which allows them to release their considerable energy. T’ai chi is fine for a few sessions but it might bore them to study it more seriously. J: How old were the children? A: Grades 1 -3. I work with quite a large group and they really enjoy it. They always ask when we’re going to do T’ai Chi again. J: Do you have any recommendations as to how best to work with children? What works well for them? A: First, you have to stay relaxed, not excited at every child who tries to disrupt. You keep working and eventually that child will join in. For a few years, I have been working with a special needs child. At the beginning, he didn’t speak to me, not one word. Today he chats with me about everything, he’s interested in so many subjects. During kibbutz holidays, he sits beside me, and I really enjoy his curiousity and interest. J: And this is through T’ai Chi. A: Yes, he tells me that T’ai Chi has really been a good influence, and that in school, before exams, he does some Chi Cong in order to relax. He can’t understand why his parents don’t do it, as well! J: You didn’t suggest it – he realized it by himself? A: Yes, on his own. I also have a group of pensioners and other adults. I work with them once a week doing Chi Cong and then T’ai Chi. 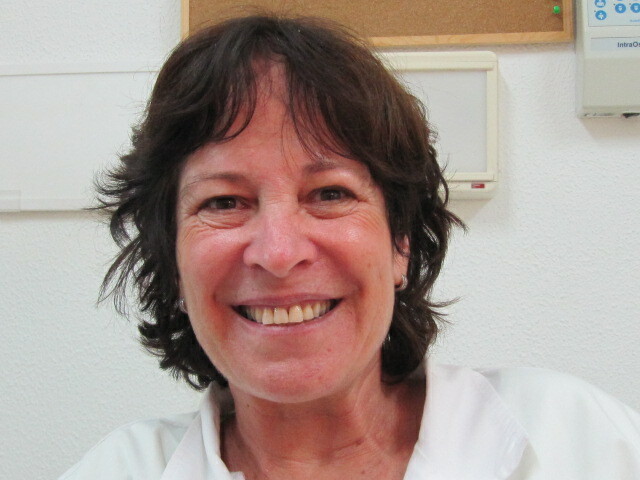 As soon as I receive my diploma, I plan to open up this group to others on the Kibbutz and in the area. J: Has the study influenced your food choices? Or other aspects of your life? A: I’ve never gotten into health food. I eat moderately from all food choices. But, in general, sport is very important to me. For example, I have a home gym for more intense work-outs. J: So what I hear is that Chi Cong and T’ai Chi give you the inner strength, the patience and energy to work with people who might present challenges. 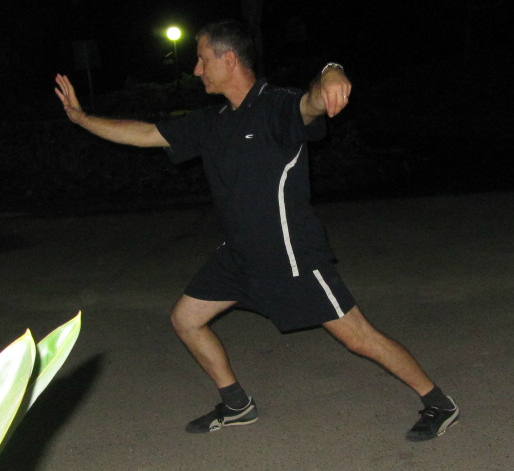 A: Also I get a lot of satisfaction when I see how others benefit from practicing Chi Cong and T’ai Chi. Often after a session, they’ll come to me and tell me how good they feel. J: Great! Is there anything that you would like to add? A: Yes! After the Jewish Holidays, I am intend to start a new Course in Chi Cong and it will open to people from all over the Eshkol area. This way, I’ll be able to work at my beloved hobby while bringing in some income to the Kibbutz. J: Good luck and thank you very much, Amiram. Our Tuesday T’ai Chi evening under the stars. 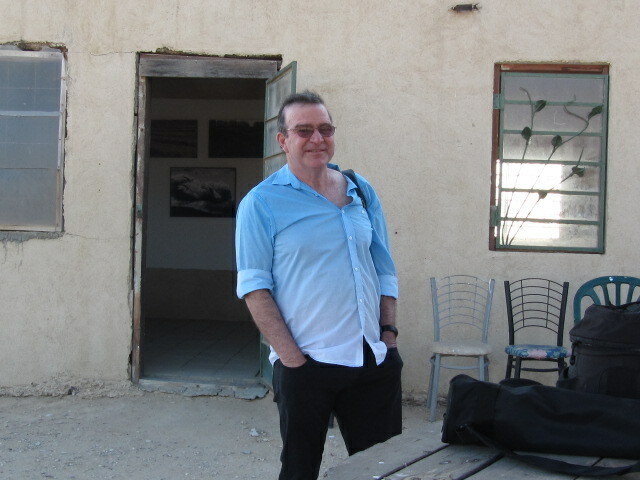 Doron Lavie, arriving early is ready to begin the session. 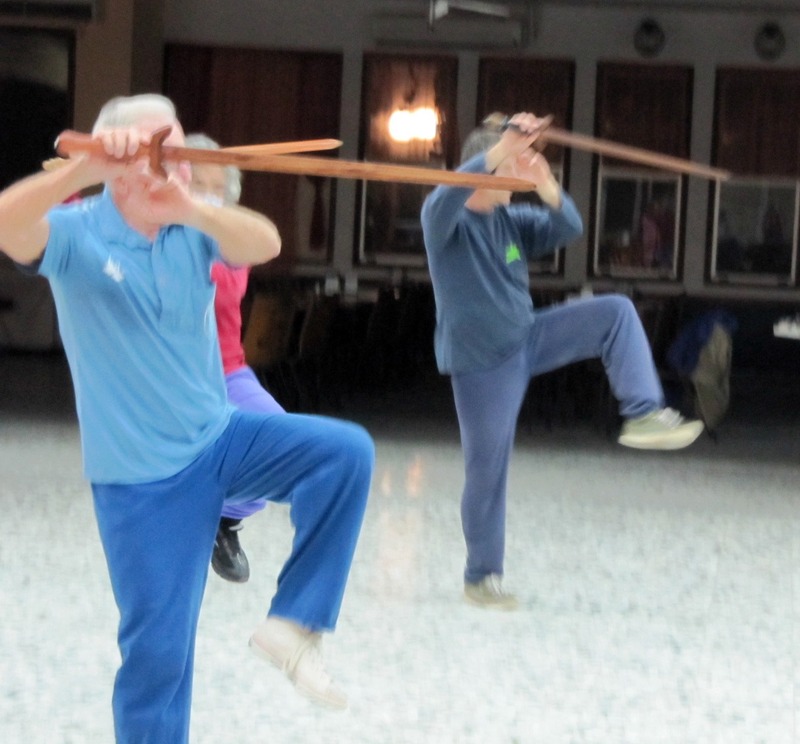 After our warm-up, Chi Cong session, T’ai chi 88 form and Sword Cutta 32 form, we had a break! 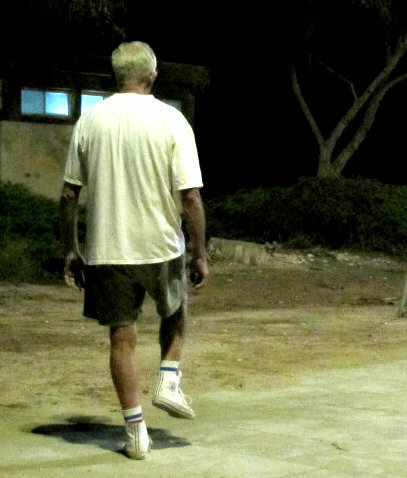 I spoke to Eliahu Levy, a longtime participant in the Eshkol T’ai Chi group held on Kibbutz Nir-Oz. Judih: Can you introduce yourself, please. 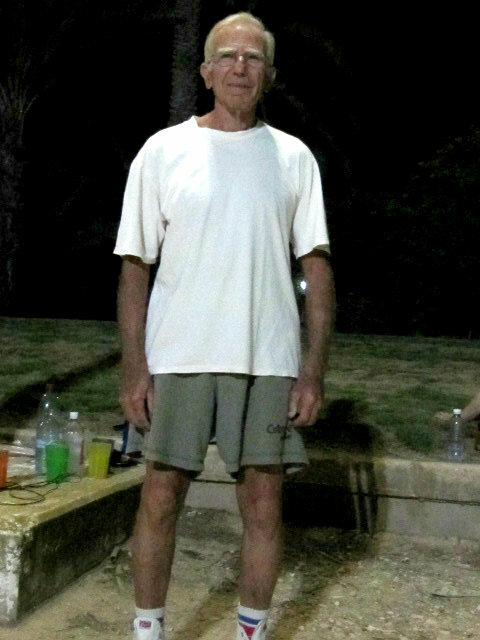 Eliahu: I’m Eliahu Levy from Kibbutz Nir Itzhak, 78 years old. In the past, I’ve been involved with Physical Education and all kinds of sports. About 12 years ago I got involved with t’ai chi. J: How did you get involved? E: I was doing karate and it was very intensive and then the sessions stopped. My friends told me that they were coming to Nir Oz to do t’ai chi. So I decided to try. From the very first day, I knew that I’d never stop. J: What grabbed you, exactly? E: It was a time when I was going through a serious personal breakdown. I had just become a widower. And I stopped working at my job and I found myself in the middle of all these life changes. I was really in a bad state. It was then that I got into t’ai chi and discovered a new world. Afterwards, I began to study Chinese medicine and everything came together for me. I became a new man. And t’ai chi was a vital part of this restructuring. I have continued to study and advance in this practice and not only did I become a new man, but everything changed for me: my behavior, my conception of life, and my perception of the world around me. I am now a practitioner in Chinese medicine. And t’ai chi provides the physical base for it all. Judih: Do you practise everyday? E: I do chi cong everyday. Sometimes t’ai chi, but chi cong everyday. In this way I prepare my body for the day, for fairly intensive work, since I work a lot using massage. And in addition this grounds me for my usual daily activities. 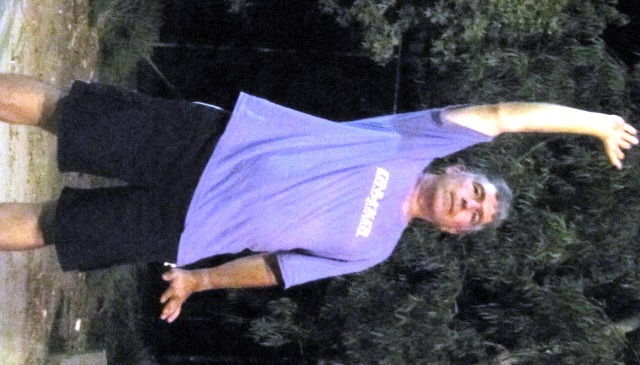 This is the essence of t’ai chi: connecting me to the earth, to the sky and me in the middle, feeling very good! J: Do you work with music? How do you practice? J: Do you use a mirror? E: No I go outside, listen to the birds, look at the green around me. I feel the morning dew on my bare feet. And this gives me so much. It fills my batteries for the day. J: So you practise early in the morning? E: Yes, I wake up usually before 6 and then I go out to do t’ai chi. Also, when I go to the pool for a swim I feel the water, and again feel myself between the sky and the earth. When I get back on solid ground, I do t’ai chi or chi cong and re-connect with myself. J: So you’d recommend t’ai chi to everyone? E: Yes to everyone. I can tell you. I have no physical pain, not in my knees, back or head. I take no medications. You see, when I first found t’ai chi I left all my medications behind and I’m living very well! If at any time, there are any physical problems, I can deal with them. J: Have you changed your diet, how you eat? Or is this all because of the physical activity you engage in? E: It’s all my conception of life. I eat according to the prefects of Chinese medicine – mostly healthy food– no fats or carbonated drinks, although I do drink some wine that I like. And that’s it. It’s a new way of living. J: Thank you. Is there anything you’d like to add? E: Yes, I recommend t’ai chi to everyone. I recommend doing it and practising regularly, because it acts to regulate body processes that serve to heal the body. Healing comes from within utilizing oxygen. T’ai chi works to facilitate the connection. I asked Doron Lavie, T’ai Chi trainer and practitioner and teacher of Zen meditation, how he would introduce meditation to school children in the seventh grade. Without hesitation he outlined a simple meditation that can be done in 10 minutes, accessible to all. Here’s what he said. Judih: Doron, How would you suggest teaching meditation to pupils in the seventh grade? Each session is to be about 10 minutes. Doron: Work very systematically and very simply. Judih: Could I stop the meditation with a gong? we received a message to stay close to our fortified safe rooms. I rolled out of bed, acquired some coffee and headed to check out the sounds outside and then the newsfeed. 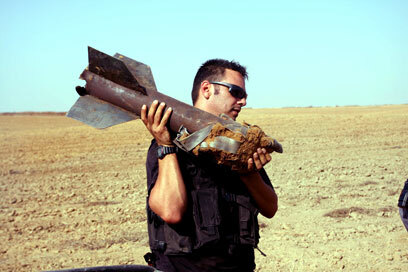 Sure enough, rockets had been aimed at cities and towns close by. Momentary updates show that the Iron Dome intercepted a few missiles, but that at least one man has been injured from shrapnel. 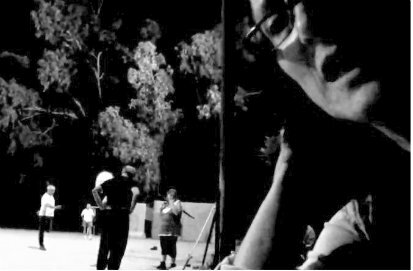 I realized that there’s something to share here: a news report featuring my friend Adele, who lives on a neighbouring kibbutz. She was interviewed the other day and I’ll let you listen to what she has to say.